This guide will explore using Crickit with Adafruit IO together. Crickit provides various ways to take measurements and control other hardware. It's a natural fit with Adafruit IO which lets you store data and manage events. If you haven't used Crickit before, we have a guide to get you started. 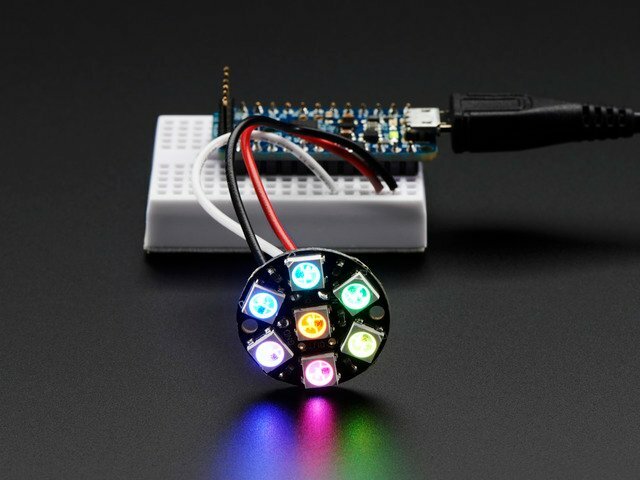 If you aren't familiar with Adafruit IO, we have a great introduction. Log into Adafruit IO and set up an account if you haven't. We need to use a board that has WiFi capabilities. Since we'll be using a Crickit, this means using the FeatherWing Crickit and a WiFi capable Feather. In this guide we'll use the Feather HUZZAH ESP8266. 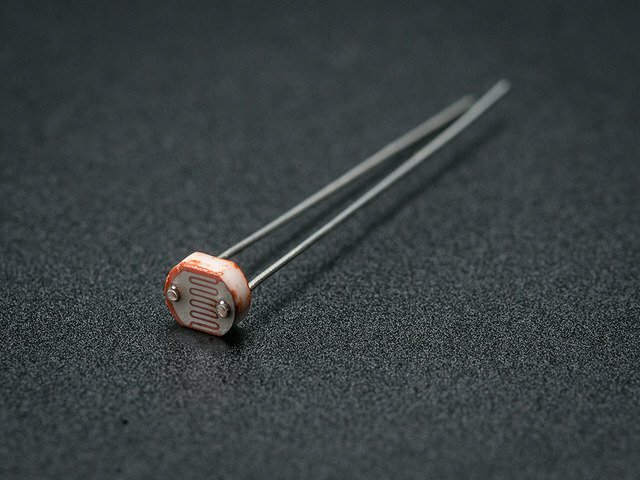 If you haven't used this Feather before, or haven't used it with Adafruit IO, we have a guide that walks you through getting it up and running. First we need some hardware to play with. Let's add a few things to the Crickit. 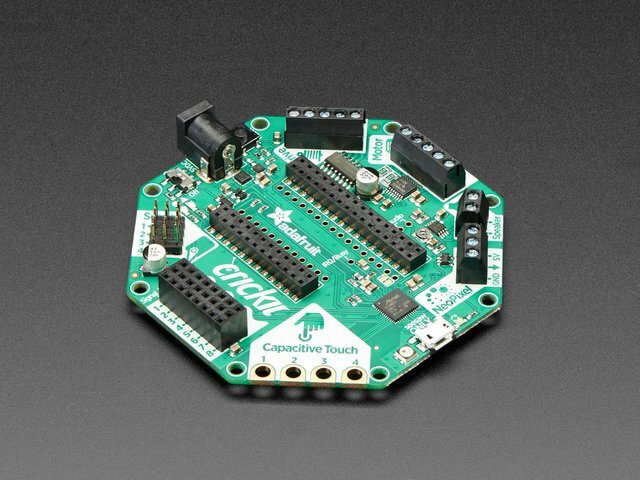 To start, we can use the capacitive touch inputs as they are. We can use one of the analog inputs to make a light sensor with a 10K resistor and a photoresistor. For output we can hook up a servo and some NeoPixels. You can use any number or configuration of NeoPixels; remember to adjust the code to reflect the number of pixels in the product you use. If you aren't familiar with NeoPixels, they're quite handy. 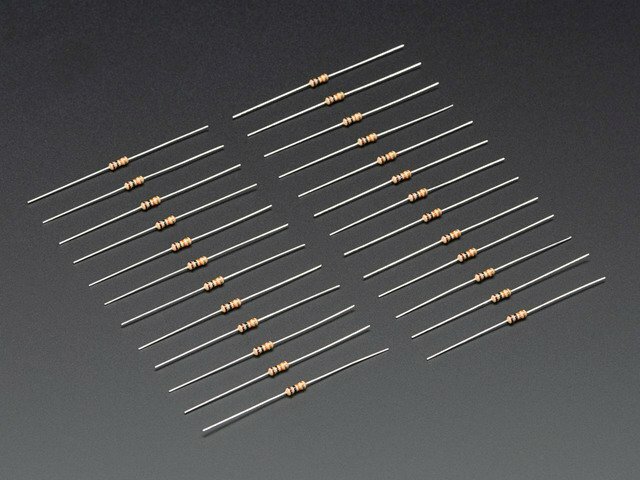 See our NeoPixel Überguide for everything you need to know about them. Below are the parts to make one HUZZAH-CRICKIT node. 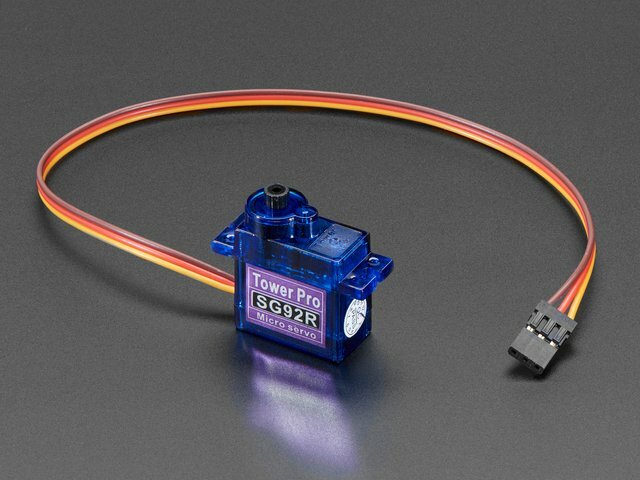 For the final exercise you'll need to build two, but the second doesn't need the servo or NeoPixel jewel. An 'all-in-one' ESP8266 WiFi development board with built in USB and battery charging. Crickit robotics board for any Feather board. This guide was first published on Jul 18, 2018. It was last updated on Jul 18, 2018. This page (Overview) was last updated on Apr 25, 2019.